Break the mold and go for gold! With these Gold Foil Booklet Envelopes, you are sure to get the attention, the popularity, and the style upgrade - all the while keeping a unique edge. The bright gold foil will make anyone want to be a customer of yours and the material will keep all of your documents super protected. 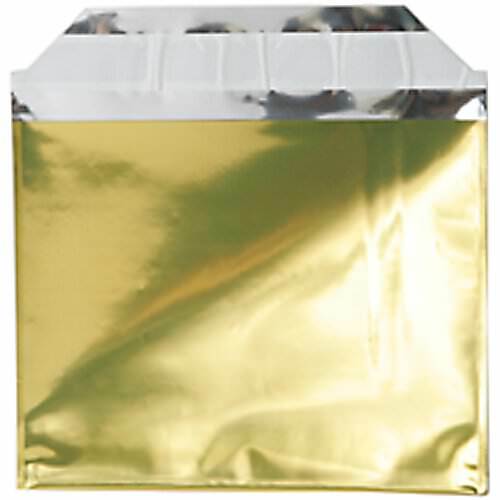 4 x 5.5 gold envelopes are great for invitations, greeting cards, and especially festive for the holiday season! The peel and seal closure is perfect for closing your content tight without having to worry about anything falling out. It's as easy as peeling the strip and sealing it! Lastly, the straight flap will surely make your gold foil even more modern. So if you want to be different and unique, and break that boring mold, go for the Gold 4 x 5 1/2 Envelopes! You'll be glad you did. Gold Foil Booklet Envelopes measure in at 4 x 5 1/2 and feature a rectangular peel and seal closure.